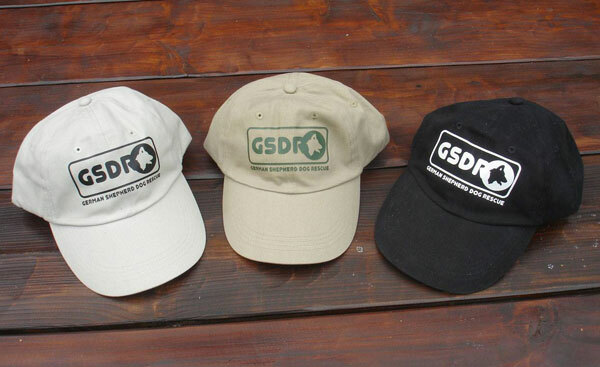 GERMAN SHEPHERD DOG RESCUE (GSDR) Branded Caps. Caps are always a firm favourite with everyone all year round. This version is a low rise cap. These come in white with black printing, black with white printing or wheat with green printing They are 100% cotton. The GSDR logo is printed on the front but if you would like something else on them instead, please just ask. The price stated includes postage. Stylish GSDR caps for everyday wear.